For all women, the earlier a breast cancer is detected, the less likely it is to spread to lymph nodes or elsewhere in the body and the easier it is to treat. Unfortunately, mammography is less effective in women with prior breast cancer (for a variety of reasons) who are now also at elevated risk. Why screening is particularly important: Women with a personal history of breast cancer are at risk of having a second breast cancer, and the second cancer is two-times more likely to be found because of a lump or other symptoms compared to cancer in women without any such history. If a woman has had breast-conserving therapy (lumpectomy and radiation), on average there is a 19% risk of cancer returning within 10 years, and a 21% risk of death from breast cancer within 15 years. If the woman has had a mastectomy, the risk of developing cancer in the opposite breast (known as contralateral breast cancer) is 0.5 to 1.0% per year. The risk of cancer returning can be cut in half for women with tumors identified as estrogen positive by taking tamoxifen (that blocks receptors) or aromatase inhibitors (that block estrogen production, but only in women whose ovaries are no longer producing substantial amounts of estrogen, i.e. after menopause). For all women diagnosed before the age of 50, the lifetime risk of another breast cancer is over 20%, which is the current definition of “high risk”. All women with a personal history of breast cancer diagnosed before the age of 50. Women with other known disease-causing mutations (or their untested first-degree relatives), and those with a calculated lifetime risk of 20% or more, should begin annual MRI between age 25 and 30. Annual mammography is of benefit in those with BRCA2 mutations and can be performed at the same time or on an alternating 6-month basis at least after the age of 30. Women with prior chest/mantle radiation therapy (cumulative dose of ≥ 10 Gy) before age 30 should begin MRI and annual mammography at age 25 or at least 8 years after completion of radiation, whichever is latest. For women who are recommended for but are unable to tolerate MRI, screening ultrasound can be considered in addition to mammography (with 3D preferred) if the breasts are dense. If I haven’t had cancer, does risk matter? Yes, in order to derive the greatest benefit from screening, women who are at high risk for breast cancer need to be identified. To do this, the ACR recommends that all women, and especially black women and those of Ashkenazi Jewish descent, should undergo risk assessment by age 30 so that women at higher risk can be identified and begin earlier and more aggressive screening for breast cancer. Article by Wendie A. Berg, MD, PhD, FACR, Professor of Radiology at University of Pittsburgh School of Medicine, Magee-Womens Hospital of UPMC and Chief Medical Advisor to www.DenseBreast-info.org. 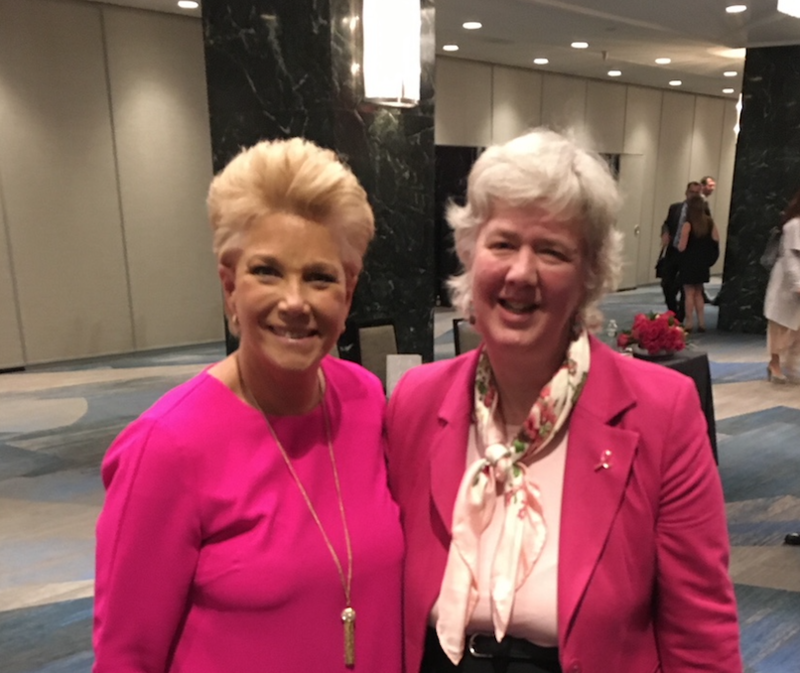 Pictured here with Joan at an event with the Breast Cancer Research Foundation.